Regular fit is wider at the body, with a straight silhouette. Crewneck. Short sleeves. Our adidas Youth World Cup Emblem Tee offers to show your love of the beautiful game with this t-shirt. 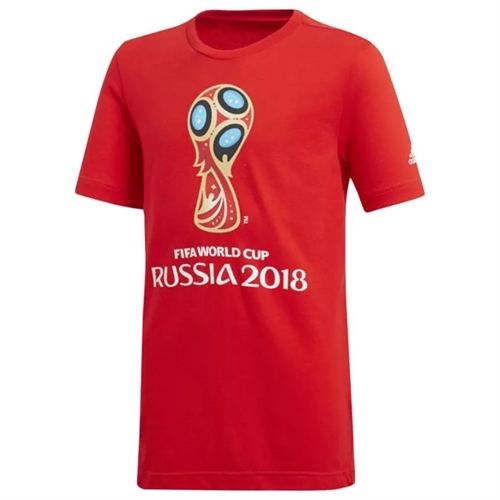 It features the official FIFA World Cup™ logo.